3,333 children were homeless in Ireland in November. FOCUS IRELAND HAS announced that it has delivered 145 homes to those in need this year. The new homes have been provided under the charity’s strategy target to provide 600 more homes by 2020 to help tackle the growing homeless crisis in Ireland. The charity announced the figures as it reported on the progress of a new development which will deliver 31 new homes in Dublin in 2018. Focus Ireland said that the building work on a new 31-unit building at John’s Lane West, just off Thomas Street will be completely in November. “The contractor has now completed the initial works in the basement area, and the first delivery of precast concrete arrived on-site two weeks ago, so we are well on schedule,” Focus Ireland’s Pat Dennigan said. The John’s Lane West site was previously used by Focus Ireland services, and used as emergency accommodation up until two years ago. The charity received some criticism when the emergency accommodation was closed to make way for the development. However, Focus Ireland says its plan was always to deliver permanent homes. The charity’s plans for new housing in 2018 will come alongside the government’s promised social housing. The government has pledged that a total of 3,800 new social houses will be built next year by local authorities and Approved Housing Bodies. Rebuilding Ireland – the government’s housing action plan launched in the summer of last year – committed to delivering 47,000 new social housing units by 2021. The latest figures from the Department of Housing show that, in total, there were 1,530 families with 3,333 children staying in emergency accommodation in November. This marks a rise of 139 from the numbers from October. Of homeless adults, 2,437 were placed in private emergency accommodation, which includes commercial hotels and B&Bs. 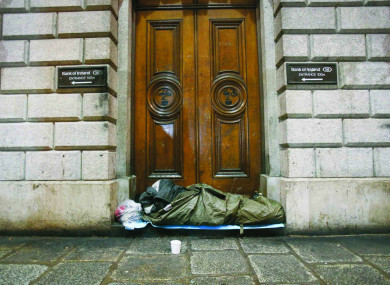 “We firmly believe that homelessness is wrong. Focus Ireland maintains that there needs to be a firm shift away from managing the issue of homelessness towards ending the crisis,” Dennigan said. Email “Focus Ireland provided 145 homes to homeless couples, families and individuals this year ”. Feedback on “Focus Ireland provided 145 homes to homeless couples, families and individuals this year ”.